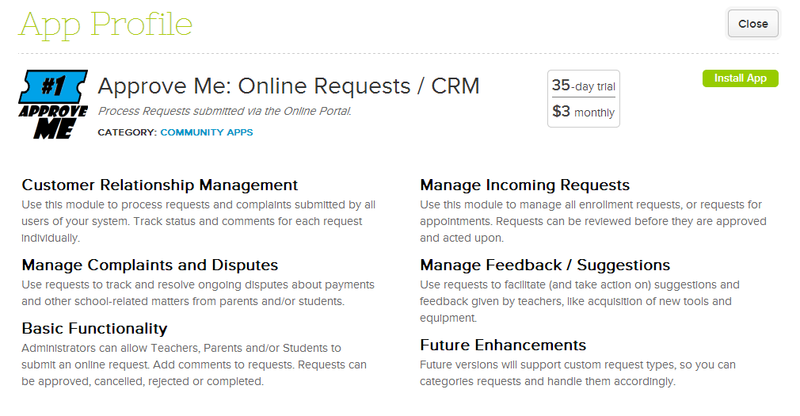 Approve Me is essentially a Customer Relationship Management (CRM) App, where users can post requests from their QuickSchools portal. It can be installed from the App Store. Users have the option to "Add Request" from their Portals, as allowed (admins can configure who is able to view the Approve Me app). Status changes will depending on the current status of the request as well as who is accessing the request. Users can submit requests to the school and manage their requests. 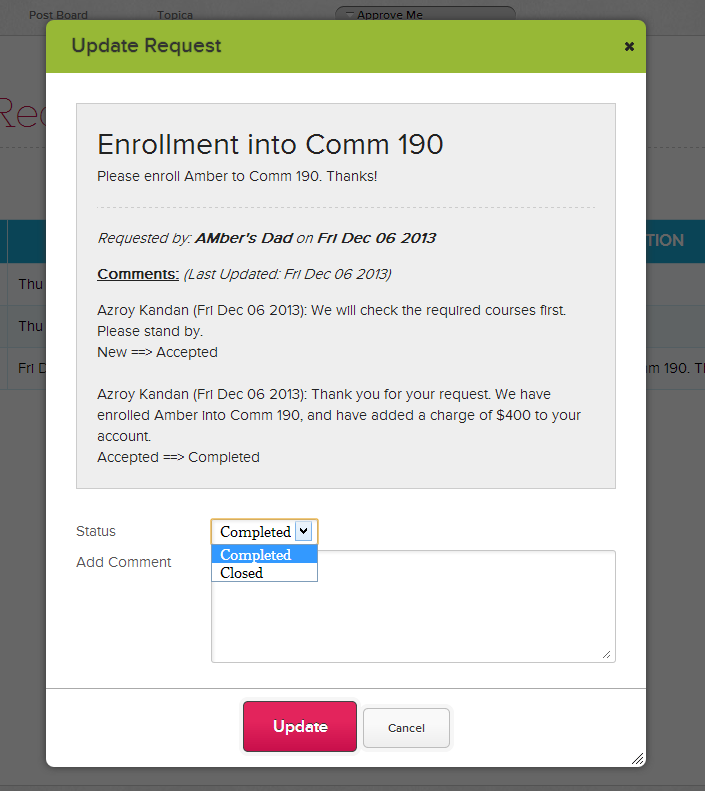 Administrators can manage requests, change statuses, and add comments. Requests can also be accepted or rejected by an administrator. Accepted requests can be worked on and completed. Once completed, the originating requester can close the request. Status changes and comments are noted as the request moves its way through the resolution process. Please feel free to try out the Approve Me app and let us know if you have any questions or concerns!